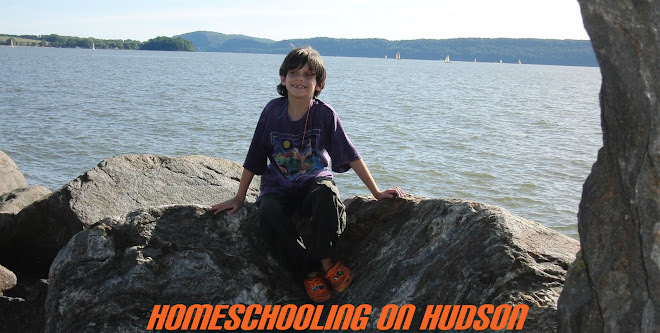 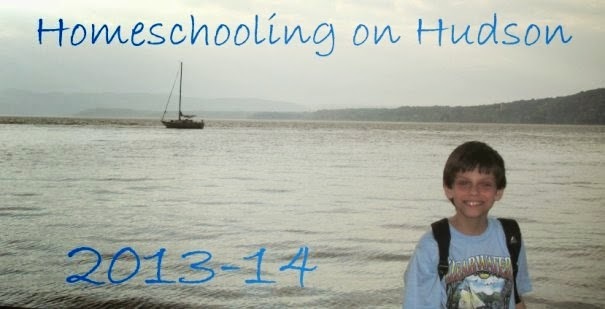 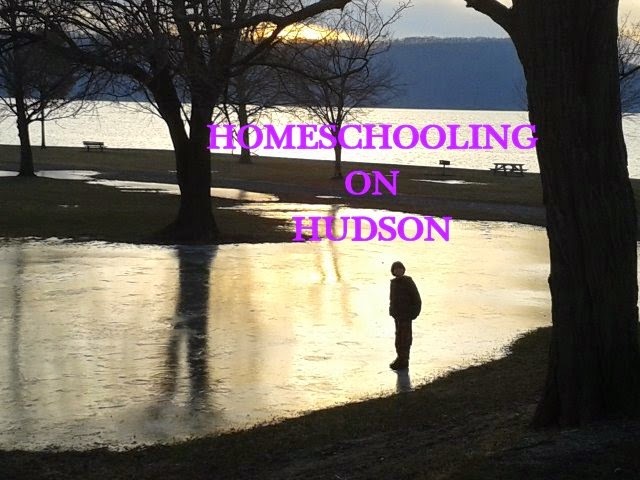 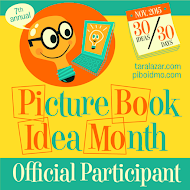 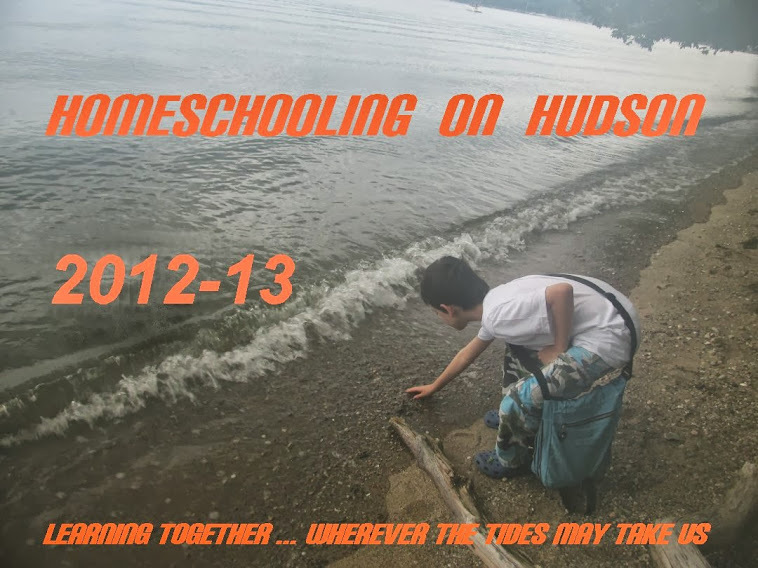 Homeschooling on Hudson: Happy Halloween! Happy Halloween! 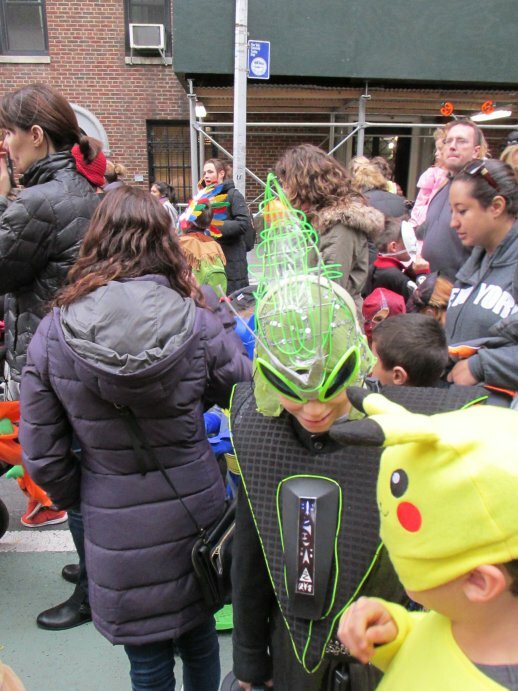 We broke with family tradition and instead of Trick or Treating for UNICEF in our neighborhood, we decided to have an NYC Halloween this year. 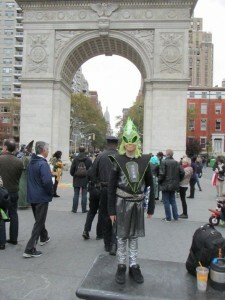 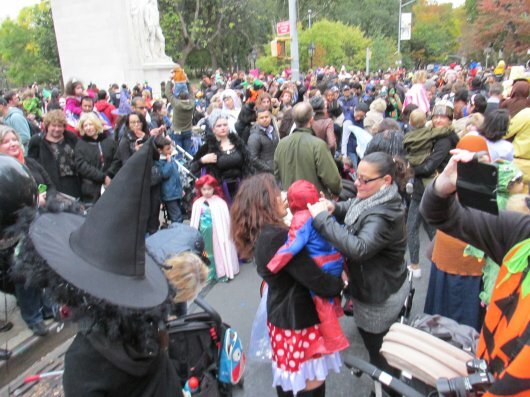 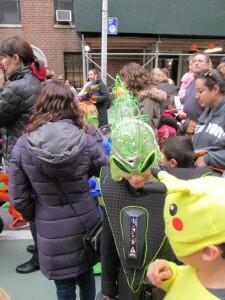 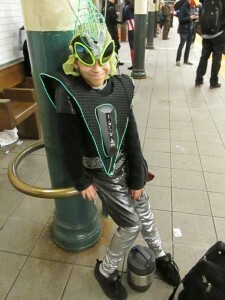 We started the day in the kid edition of the Greenwich Village Halloween Parade. 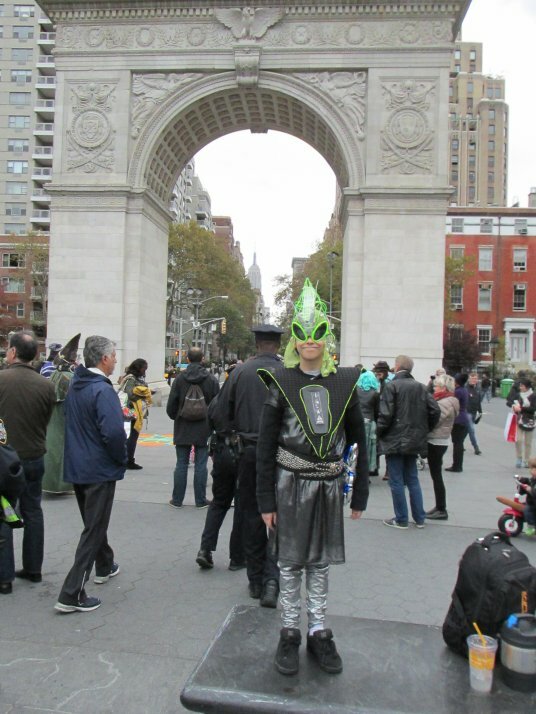 While we were waiting for the parade to start, Mikro got interviewed by a Japanese TV channel. 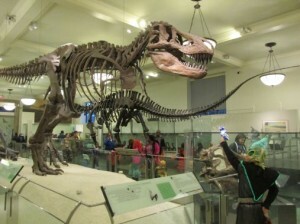 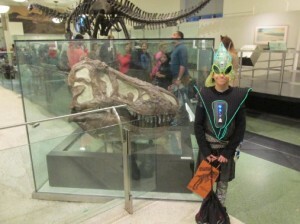 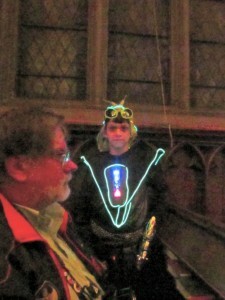 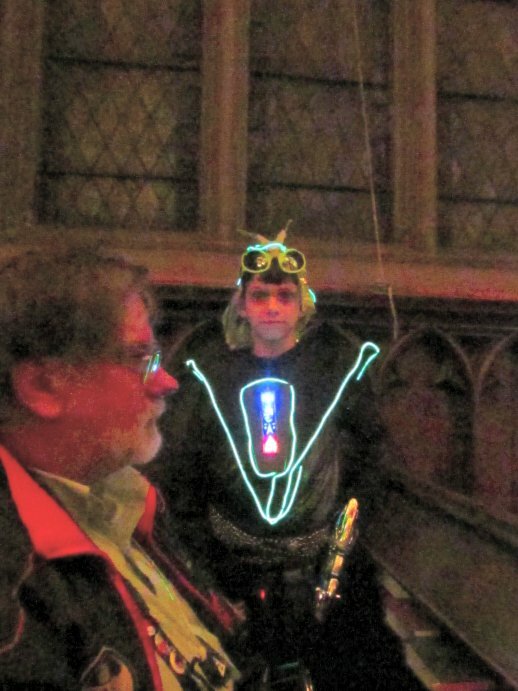 Then we went to Mikro's favorite place on Earth, the American Museum of Natural History, for their Halloween Party. 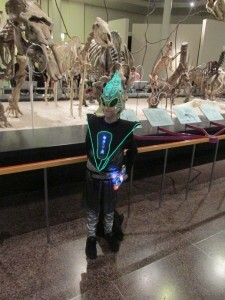 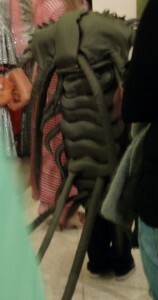 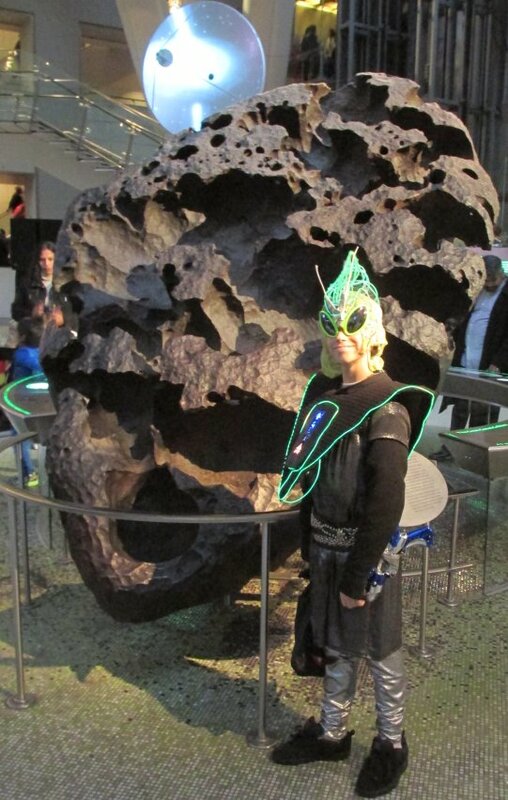 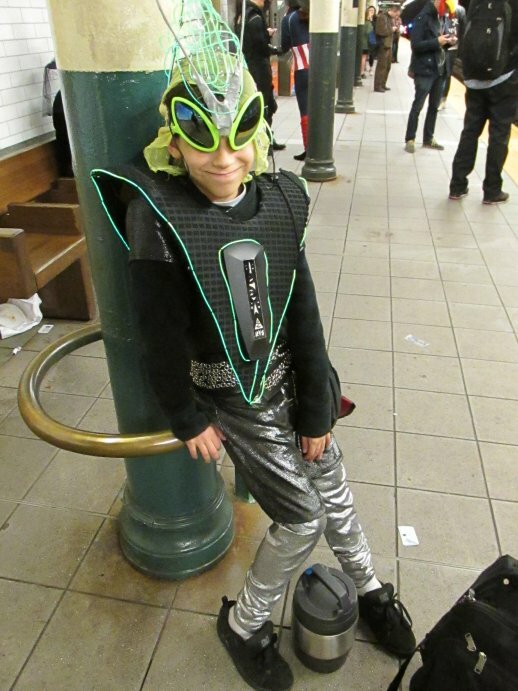 Mikro loved it, and thought the most awesome costume ever was the trilobite. 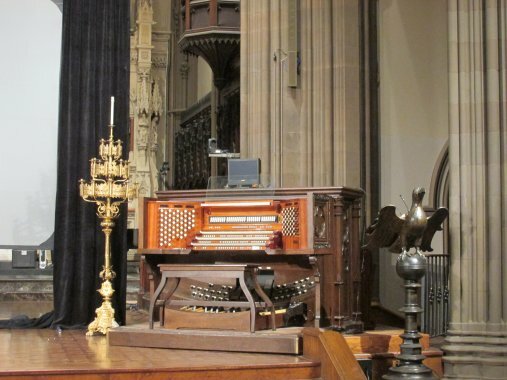 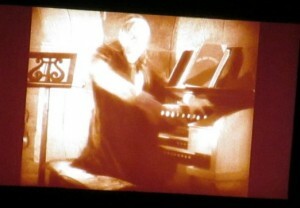 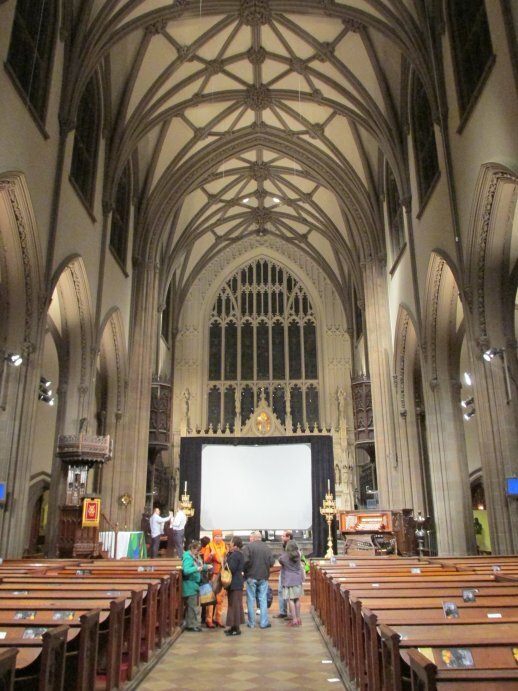 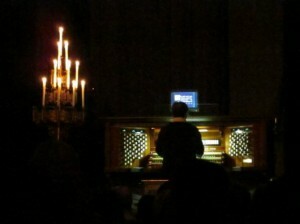 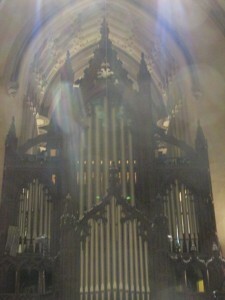 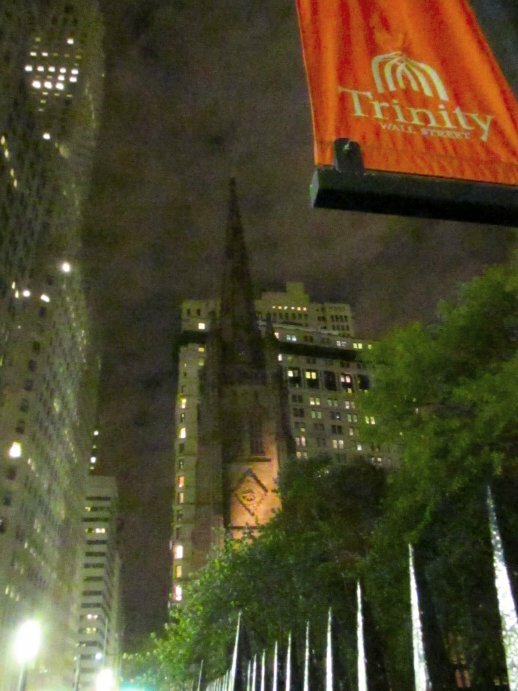 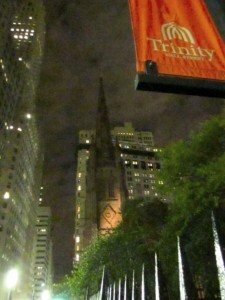 After that, we raced downtown to Trinity Church for a showing of the silent Lon Chaney Phantom of the Opera, with live pipe organ accompaniment. 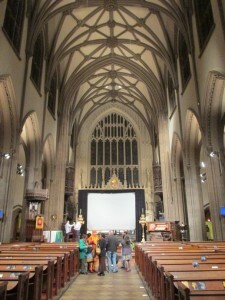 It was really cool! 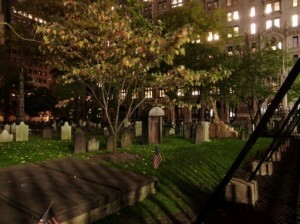 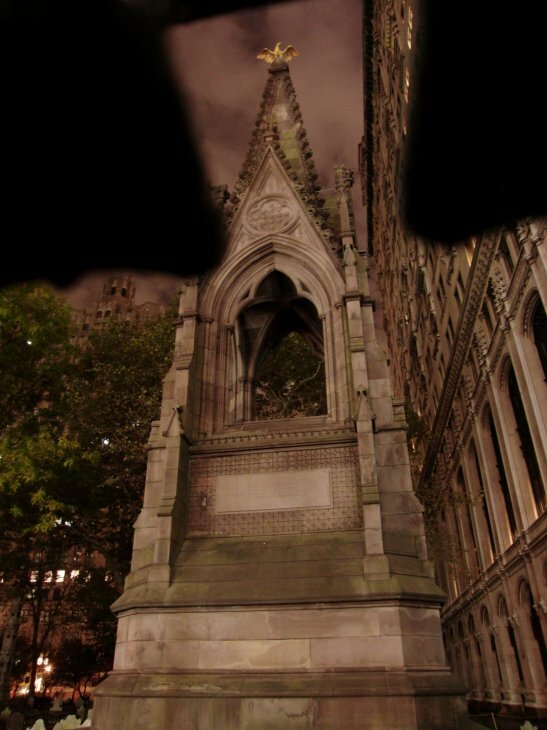 The churchyard looked spectacularly spooky, too. 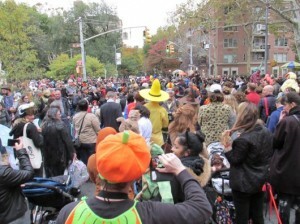 All in all, a great Halloween.